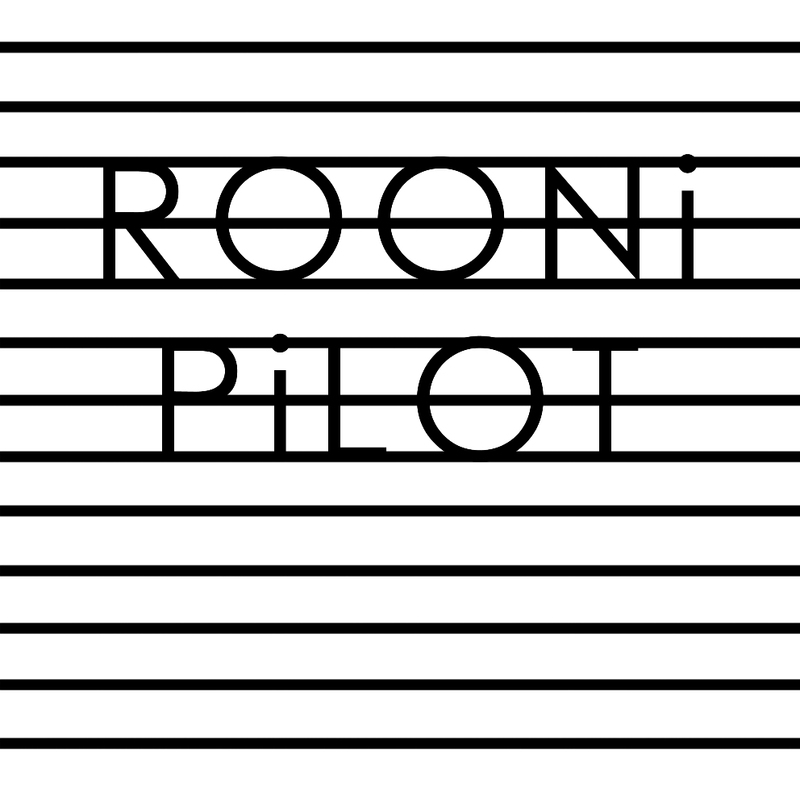 Almost a year later, Rooni’s debut EP ‘Pilot’ revisits the styles of those earlier tracks, occasionally daring to tease with a few noisier guitars en route, but never forgetting those all-important hooks. ‘FFW’ begins this release in style, as unaccompanied rhythm guitar lays down a spiky riff deeply indebted to early 80s new wave with hints of ‘White Music’ era XTC and bands like The Vapors. The addition of a sharp drum part and grumbly bass reinforce the new wave quirks, but the modern recording sound places things closer to revival bands such as Sunderland’s Frankie & The Heartstrings. 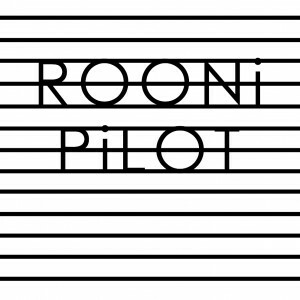 The Heartstrings may have the swagger but are inconsistent in the lyric department – there’s no such problems with this tune from Rooni. As the upbeat riffs charge their way, this band have not one but two strong hooks at their disposal. Firstly, the verse’s repetition of the phrase “on the radio” proves rather insistent, but by the time the chorus rolls in – and a suitable key-change signifies its arrival – the band showcases a world of harmonies. Somewhere between classic power pop and new wave revivalism, this sassy musical encounter is smart and confident enough to appeal to listeners in at least three musical camps – indie, rock and power pop, though with a definite lean to the latter. Taking things down a notch, ‘Too Much Is Never Enough’ is pure power pop, right down to a ringing guitar borrowing heavily from a sixties blueprint. A few of the guitar sounds are slightly reminiscent of Heartjet – another cult Scandinavian power pop combo – but the breathy and heavily accented vocal style is almost unmistakable. While most of this number might seem a little more ordinary in its execution, the rattling drum part often catches the ear and a few of the lyrics have a quirkiness that’s almost unexpected. A simple chorus quickly takes hold, and while a samba-influenced interlude may seem a little unnecessary, this is great pop/rock, for sure. With a glam rock fascination, the tough and shrill sounding guitar part running through ‘Suburban Boys, Suburban Girls’ evokes early Suede and is the logical extension of Nilsson’s own ‘Makeup On, Letdowns Off’. The constant nods to Bernard Butler in the music, largely down to those phased guitars, are nothing short of fantastic – an equal measure of melody and grit vs. a Bowie-obsession – while a meaty bass line pushes forward throughout. This is the pinnacle of the band’s occasional rockier sounds, but a slightly twee vocal occasionally seems at odds with the music, so a few plays are required to adjust to this. Once in the zone, this sounds like a band who’ve got it bang on in terms of retro cool…and this tune has all the makings of a live belter. Last up, in terms of power pop, ‘China Heart’ is the clear winner. Retro organs, ringing guitars and an early 90s indie energy – all driven by a crashy drum part – collide in a feel-good explosion of sound. The vocal meter has an instant familiarity – and some similarities to the fast part of an early Beautiful South number, ‘Love Is…’, purely unintentional, of course. There isn’t much here you wouldn’t find – at least in part – in other Rooni tracks, but the sheer pace of this number shows the band to be an incredibly strong musical unit, more so than ever before. A great vocal performance and a few more off-kilter lyrics are enough to ensure this sounds great no matter how many times you hear it. Although this EP would be made even better by the inclusion of ‘Ambulance’, these four songs add up to make a particularly fine release. The Wannadies may have left us now, but with ‘Pilot’, Rooni are on hand to bring you guitar-driven, bubblegum tinged, power pop goodness in their wake. If power pop is your bag, you’d be a fool to miss this. This entry was posted in Album & EP Reviews and tagged gustav nilsson, indie, power pop, rooni, stream by Real Gone. Bookmark the permalink.